Centrally located in downtown Vernon, B.C., our clinic’s team of physiotherapists offer evidence-based treatment and healing to patients impacted by injuries and conditions causing chronic pain. Our goal is to help you return to a normal life as quickly as possible, and to prevent your injuries and pain from re-occurring. We offer treatment in our private rooms and have a fully equipped gymnasium. 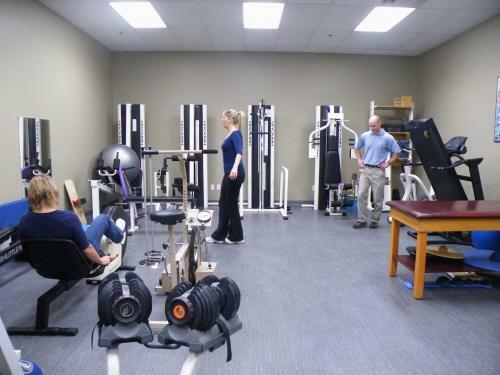 We also provide exercises and home-based programs based on the individual needs of our patients. Among our many areas of expertise are sports and spine injuries, orthopedics, industrial rehabilitation, gait analysis, foot and ankle treatment, functional capacity evaluations and aquatherapy programs. Call 250-545-3696 to book your appointment.